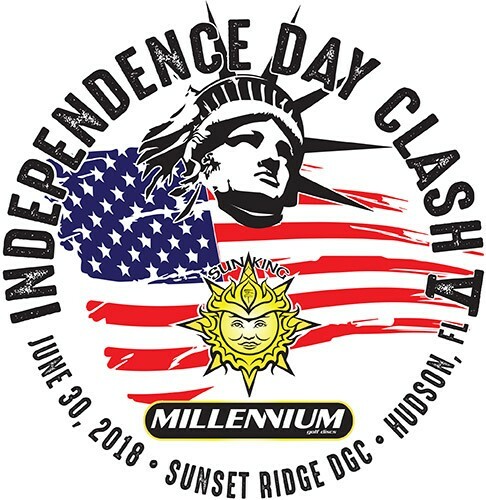 Come join Sun King Discs and Millennium Discs for a day of Disc Golf and an old fashioned cook out at Florida's "most fun" Disc Golf Course; Sunset Ridge! Cookout style at the Clubhouse (Colorama Music building). Hamburgers, hot dogs and salads. The food will be high quality and organic when possible and will have vegetarian options. Plenty to eat, no shortages! Drinks available for purchase in Clubhouse or Pro Shop. The awards ceremony will be held in the Clubhouse (Colorama Music building). Drinks available for purchase in Clubhouse or Pro Shop. Players Party: Hang out at the 19th Hole after the tournament is over! BYOB&B (beer and bathing suits), light snacks provided. Tour del Sol is responsible for all refunds/cancelations.